Dot-to-dots began with a scanning of the page to find where to begin. A one, an a, however it began, you had a pretty good idea of how it was going to end by the general placement of all the numbers. And yet we would happily practice numerical order, giving our caregivers a brief moment of peace. I am scanning to decide where to begin even as I type. My daughter, resting quietly on the couch after a medical procedure, I’m (happily) forced to be home and catch up on some neglected obligations. I may jump from here to there, geographically and in price-point, but in the end, you’ll have a good picture of what I’ve been sampling. Question: What wine do you bring to a party with trivia lovers? Answer: Q&A is a fun series by the Rubin Family of Wines. With twelve different labels in the series, each with five questions about the wine industry. A California blend of Merlot, Ruby Cabernet, Cabernet Sauvignon, and Petite Sirah. Approachable and well-balanced with plenty of fruit and spice. We had it with pizza and it was perfect but it could go in several directions. A fun party wine at $15. Head south to Chile for Casillero del Diablo’s Sauvignon Blanc. Some varieties do better than others at accessible price points. To me, you’ll have better luck with the Blanc than the Cab when it comes to Sauvignon. It is fun to compare a New Zealand, Chilean, Domestic, and French SB to better gauge your personal taste for the grape. this one has plenty of green notes: Green apple peel, lime zest, grass. An easy crowd pleaser. It paired perfectly with the setting sun and special neighbors in the front yard. Jump across the Atlantic to Ribera del Duero. 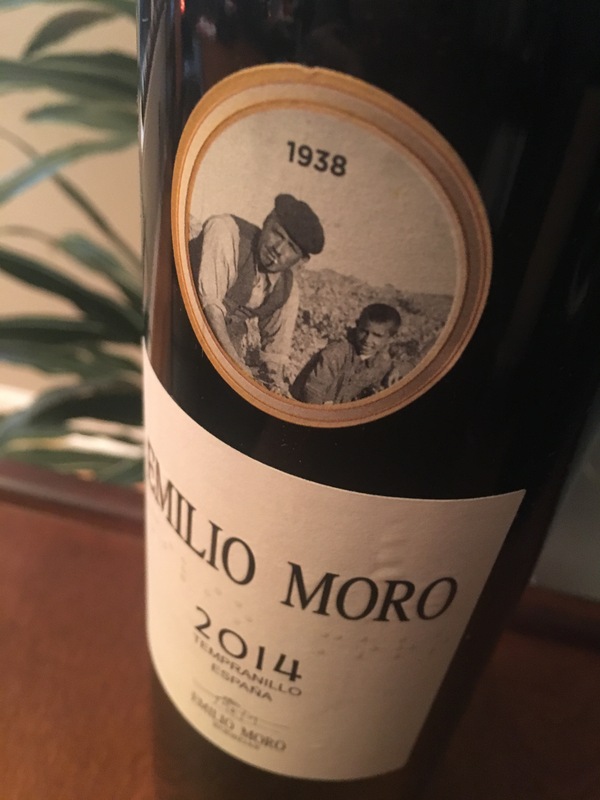 The 2014 Emilio Moro Black cherry, anise, a touch of black olive and baking spice, the vanilla punctuates this structured wine. Classic Tempranillo body and hints of earthy smoke. A versatile wine that continues to expand as it breathes. Somewhere to the east you can find a pretty bottle. 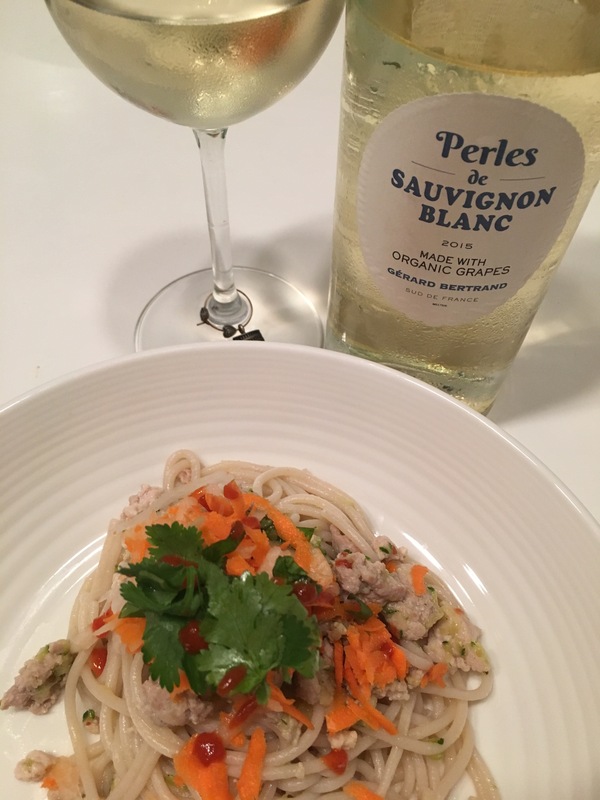 Perles de Sauvignon Blanc is part of Gerard Bertrand’s Organic line. A good wine to open when you’re celebrating your new ride named Pearl. Nice citrus, delicate floral notes, balanced and subtle. I generally prefer a little more bite and grass in my SB, which easily found at better price points ($16) but the organic is a plus worth paying for. Maybe it was just the pairing, a deconstructed summer roll. Next time I would go with a mild cheese or just by itself. Still one of the prettiest bottles I’ve seen. A short jaunt northeast will land you in Alto Adige and it will be well worth the trip. 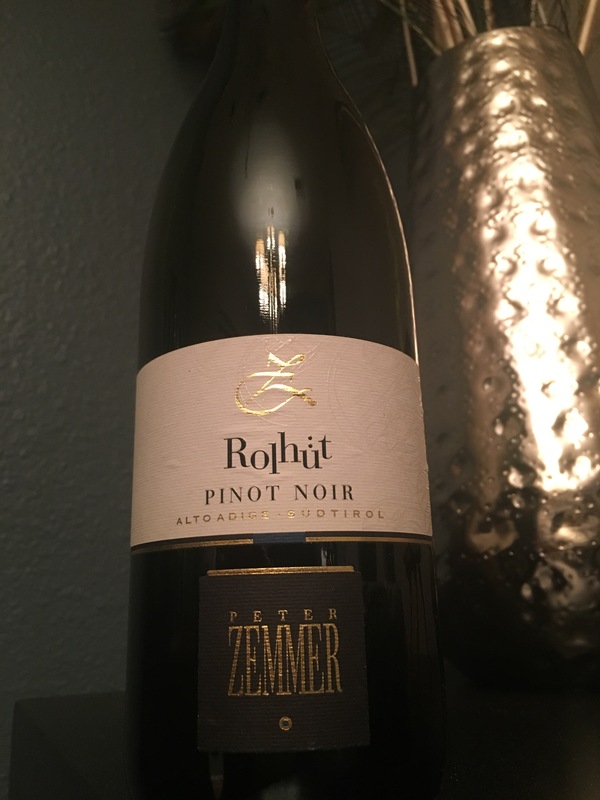 Peter Zemmer’s Rolhüt Pinot Noir is a pleasure. Great depth of color while maintaining clarity, a wild berry punch. The fruit, red unripened cherry, while solid, almost takes a back seat to the secondary notes of violet and rose petals. Great minerality and mouthfeel, this wine makes an elegant, subtle, but emphatic statement. Most dot-to-dots begin back where they began. This one is no different. 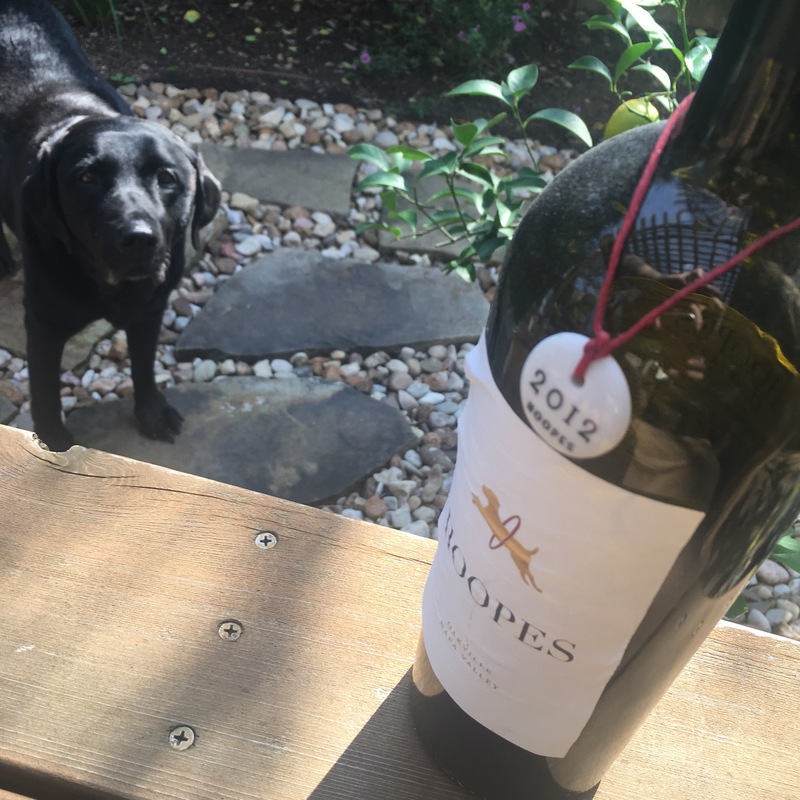 I’ve mentioned the Hoopes wines both in a Snooth review and the Chardonnay but to see a representation of what they are about, you need to try one of their Cabernet Sauvignons. These wines do not mess around. Huge, powerhouse wines, carefully crafted, classically balanced. I sampled both their 2012 Oakville and the Napa Valley Cabernet Sauvignon. These wines speak in ALL CAPITAL LETTERS. The Oakville leaned toward red fruit, raspberry, cherry, plum which burst mid-palate. Cinnamon stick, fades to vanilla, finishing with leather. If you are a fan of the bold and the beautiful, you will want to jump through these “Hoopes.” Lucy approves. So what does the finished picture look like? I think I need to jump on a plane to get a better perspective. An atlas just won’t do. I could come up something, but I’ll leave that to you.